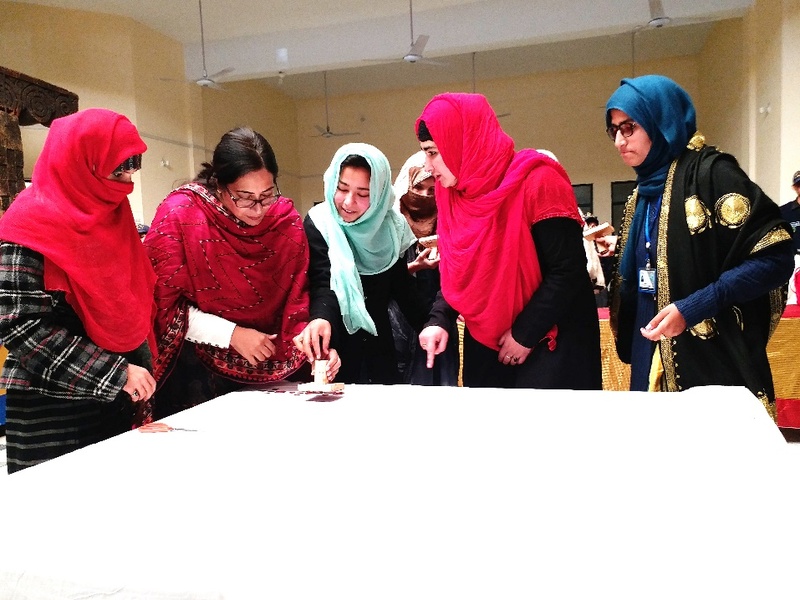 The students of department of Art, Design and Cultural Studies Women University, Swabi has facilitated as trainer in three-day capacity Building Workshop "Creating a nexus Between museums and Schools" on the 22nd, 23rd and 24th of January, 2019. In this workshop the students of department of Art, Design and Cultural Studies Women university Swabi taught different traditional techniques of block printing to the students and teachers of various schools. This workshop was an organized by United Nations Educational, Scientific and Cultural Organization, Ambasciate di Svizzera in Italia, Thaap and Institute for Art.